Includes all plant within factories. This is a specialist area of work to ensure that there is no contamination of products on premises. Techniques have been developed to ensure optimal results. Most chemicals used for this work are water based and biodegradable. All liquid waste is disposed of in a responsible manner. 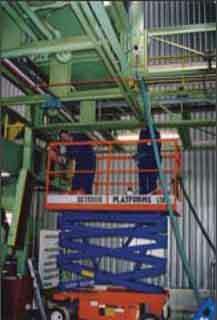 Our job safety management plans include material safety data sheets. 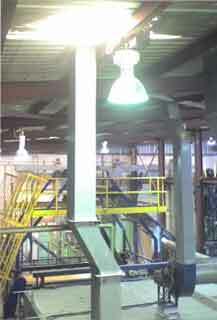 Confined space access for the cleaning of silos, tanks and other storage media. This applies to treated water tanks, food and grain silos. 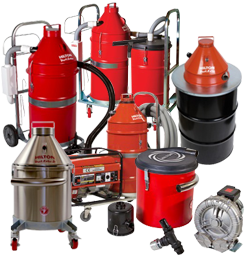 Our vacuums are designed to remove the last traces of any residual clean-down sludge or dust. 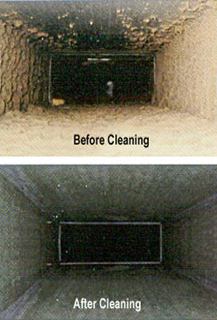 Exterior or interior we are able to chemically clean building envelopes while safely disposing of liquid waste. Spills need cleaning for safety and lost productivity. 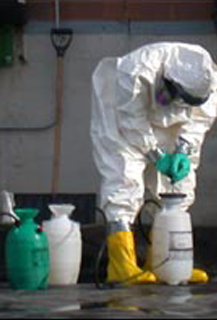 Decontamination work can be performed to remove toxic or potentially toxic substances from the area. Upon completion a swab will be taken and analyzed by an independent laboratory to confirm that all toxic substances have been removed. Over the years, dust can accumulate in your air ducts resulting in air-conditioning systems blowing potential toxic dust into your workplace environment. Pharaon Holdings specializes in fire cleanups, this includes removing all debris, cleaning of floors, walls, ceiling and roof cavities. 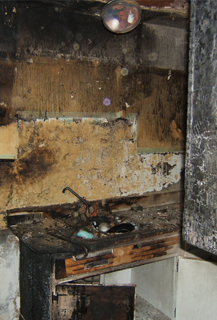 We also remove the odors that can persist for years after the fire damage.